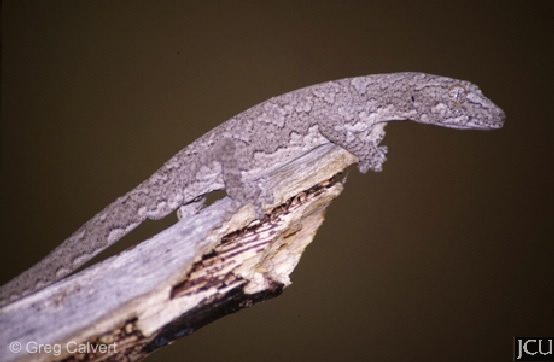 This gecko is frequently associated with ironbarks in eucalypt woodland and sclerophyll communities. It is arboreal and is frequently seen sheltering under loose bark. Distinguished by the rows of enlarged projections or tubercles along the back and tail. The eyes have a distinctive orange to red rim around the iris.